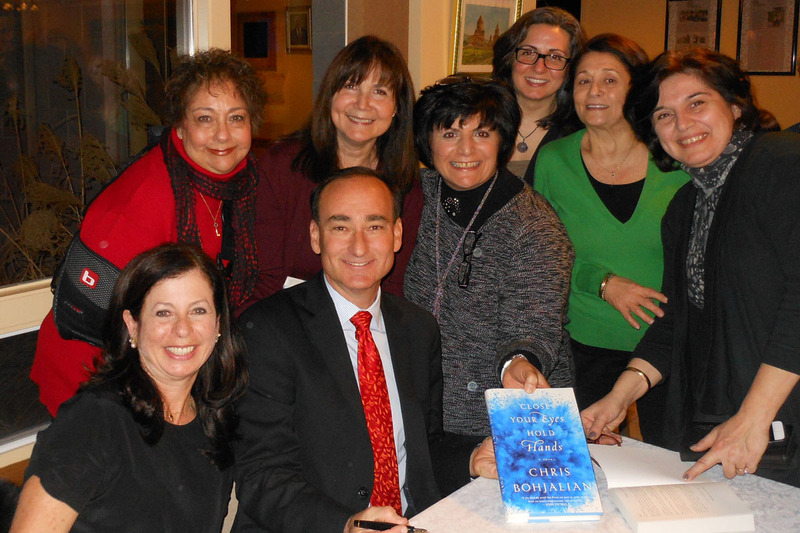 On Thursday, December 11th, 2014 The Women’s Guild of St. Gregory the Enlightener Armenian Church (White Plains NY) was privileged to feature Mr. Chris Bohjalian at their Author’s Night reception. He is the author of over 15 best selling and critically acclaimed novels including The Sandcastle Girls. Mr. Bohjalian gave a riveting presentation to a captivated audience, where he spoke a little of his family history and how it had propelled him to write The Sandcastle Girls, his novel built around the events of the Armenian Genocide. The presentation was followed by a lively question & answer period which covered a wide range of topics: his writing process; his travels to Armenia and Middle East; and turning The Sandcastle Girls into a major motion picture. The book signing event was very well received by an enthusiastic crowd, delighted by his presence, sense of humor, Armenian pride and generosity. Truly an evening not to be forgotten by the St. Gregory Parishioners, local book clubs and community in attendance.